We are feeling the fear and doing it anyway! We are flying free from charity status as of this week… we want to support civil disobedience and all types of non-violent resistance loudly and proudly. When all else fails, it is our moral duty to act… and there are a whole heap of people out there who want to act – on climate, on issues of racial and social justice… but lack the resources, training, infrstructure, pathways or experience to do it safely. Unfortunately there are very few options through Non Government Organisations to be supported in some types of non-violent resistance, at this time, as years of crack downs on charities and environmental groups, has worn the sector down and resulted in a level of caution and timidity we believe doesn’t reflect the political reality. At a practical level we have also increasingly been asked to collaborate with folks outside the environmental sector, and whilst we think all things are related – the government is a bit more uptight about such things. So we’ve left the good folk of Friends of the Earth, and are stepping out on our own – we did some great work collaborating, and we wish them the best, but its time for our own adventures. We will have more to come, and a new look which will be simply faaaahbulous, but we are getting input from you – our supporters and allies first. I know. We’re weird. But that is why you love us right? We had an awesome launch party on Wednesday 14th November and we are distilling the feedback we got on logos ideas, our priorities and more. Stay tuned for further chances at sharing your ideas! We are going to be working on more resources, more webinars, and work that will connect people who can’t turn out to actions. We’ve got big plans for supporting legal teams, continuing support for Frontline Action on Coal and extractivist work, and being able to respond and support emerging movements such as Extinction Rebellion and the Climate School Strike. You can also DONATE here – Kick in to Project 50/50. We are aiming to get 50 new donors by the end of the year – 50 new donors of $50 monthly in 50 days! Thats just a touch over $10 a week. Can you join us, and pledge to find 2 more people? 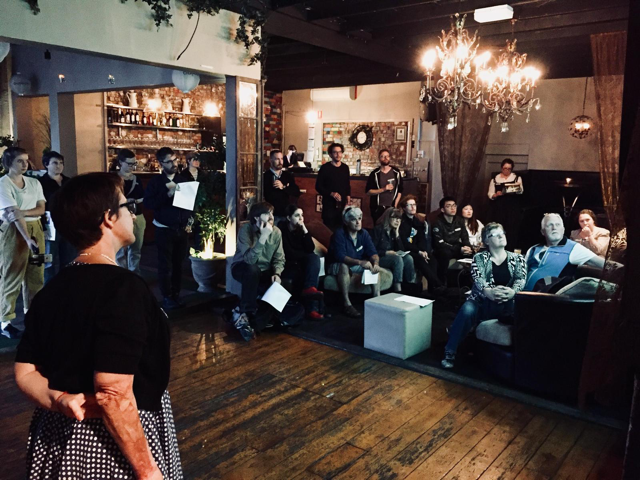 $2500 will support a part time CounterAct staffer two days a week – to write resources, run trainings, connect communities and share stories of resistance. One person can boost so many campaigns – what bang for buck! We need regular CounterActivators – our monthly supporters, now more than ever. No tax receipt anymore, but a heck of a lot more freedom. To clarify – all donors as of November 2018 had their donations stopped through the Friends of the Earth system, and we need to re-register you all, via our new, secure payment gateway. Just pop over to the donate page and its easy peasy! And, if you’ve got ideas and projects for us to take on – let us know.